This course is for people who have basic knowledge in German. The course concentrates on communication. 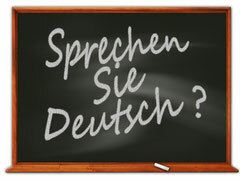 You will learn to use German independently with confidence. We have interesting group and individual discussions where you can apply your language skills. We also concentrate on writing and listening skills. Your language competence will increase. Try now! The first two lessons are for free!